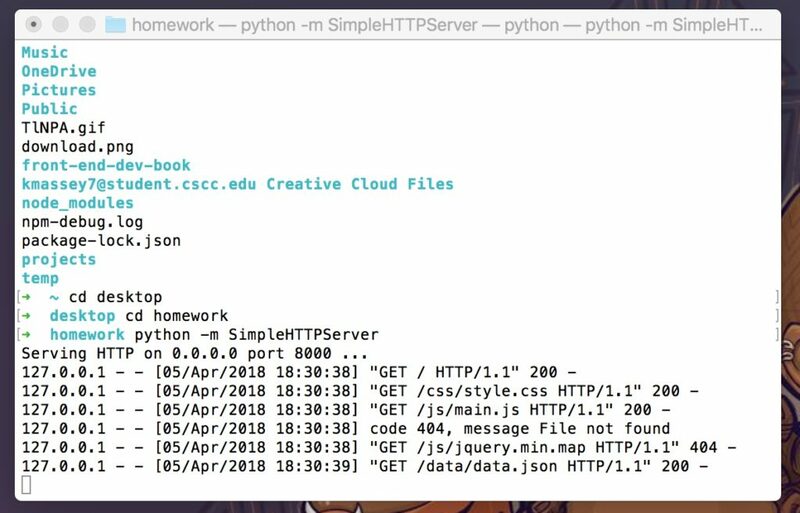 For this week’s homework, we were to take the json file we created last week, and place it on a webpage, using a JS script. Initially, although I could step through the code and attempt to debug it, even if it wouldn’t append to the div I was trying to place it in. Currently, I’m having issues with it stepping through the code, and it still won’t append. I’m also getting 404 not found errors in my terminal. While I’m still working on getting it to work, I did get a simpler json file to work using P5.